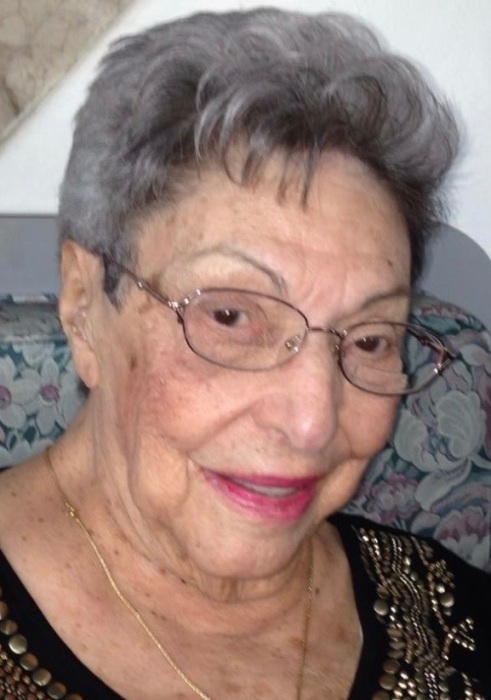 Obituary for Pearl Marini | Arthur F. White Funeral Home, Inc.
Marini, Pearl (nee Forziati), 102, former longtime Flushing, NY resident. Recently of Farmingdale, NY passed away peacefully November 29, 2018. Reunited with her beloved husband Dominick and their cherished son, Robert. Survived by her devoted children Nicholas (Nancy), Donna Belesi (Joseph) and Richard (Jane). Loving grandmother of six grandchildren and 11 great grandchildren. Visiting Saturday 7- 9 pm and Sunday 2-4 and7-9 pm. at the Arthur F. White Funeral Home, 234 Broadway, Bethpage. Funeral mass Monday 9:45 am at St. Kilian RC Church, Farmingdale. Interment will follow at Saint Charles Cemetery, East Farmingdale.